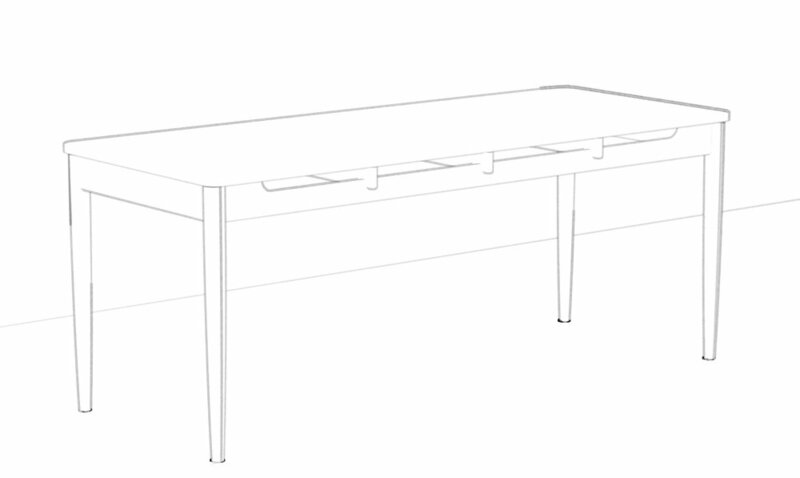 Roman and Williams, a NYC interior design firm for the Manhattan West development, selected Mark's Karina table for the dining room of its model apartment. Manhattan West is a 5 million-square-foot $4.5 billion dollar mixed use development rising in New York's Hudson Yards district, with residences scheduled to be completed by 2018. The development includes a residential skyscraper, two office buildings, a two-acre outdoor plaza, and ample commercial space, along with a custom dining room table designed and handcrafted by Mark. 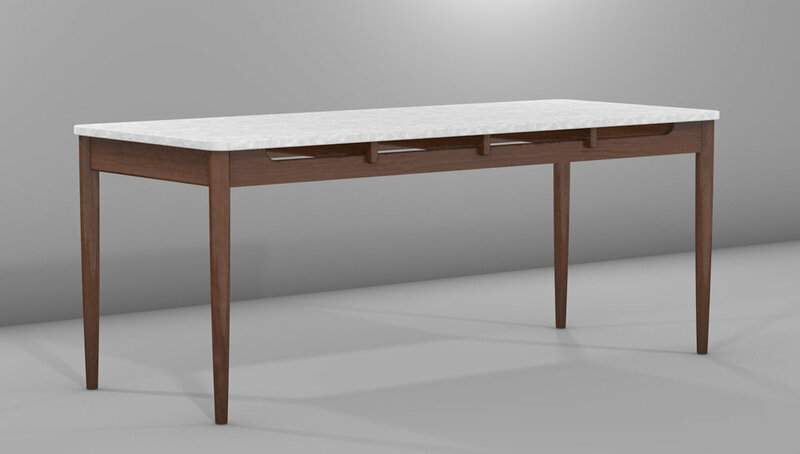 The Karina table base is made from walnut and is designed to support a marble or stone top.